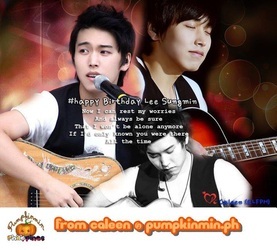 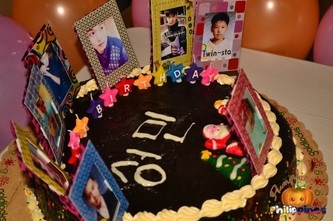 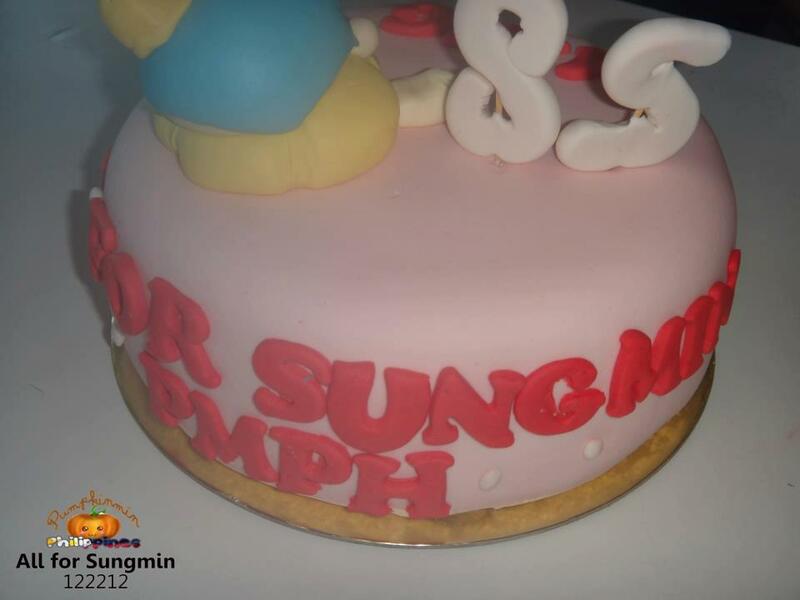 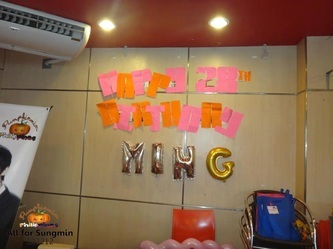 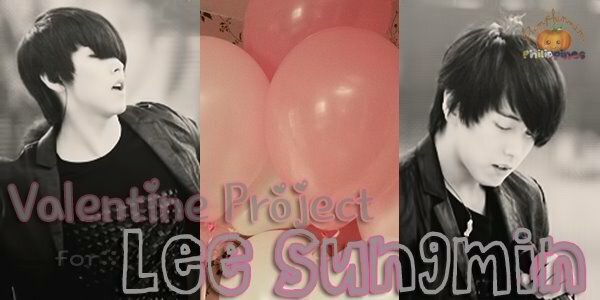 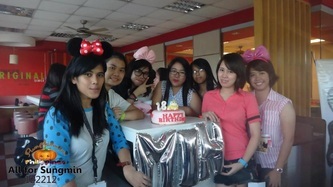 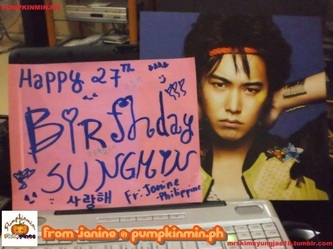 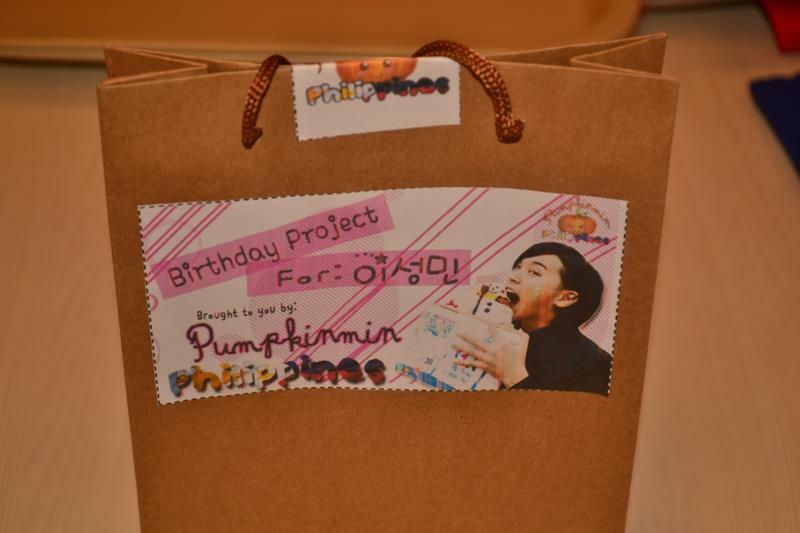 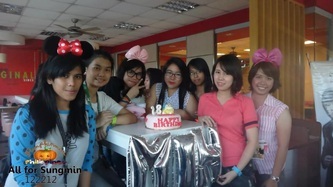 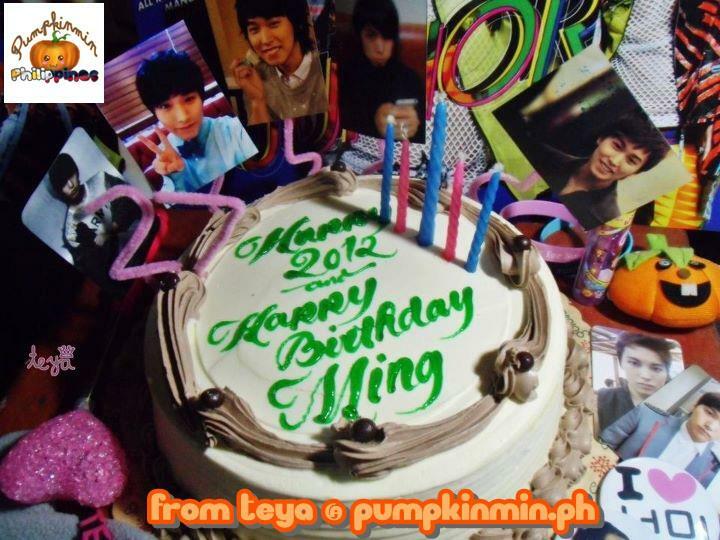 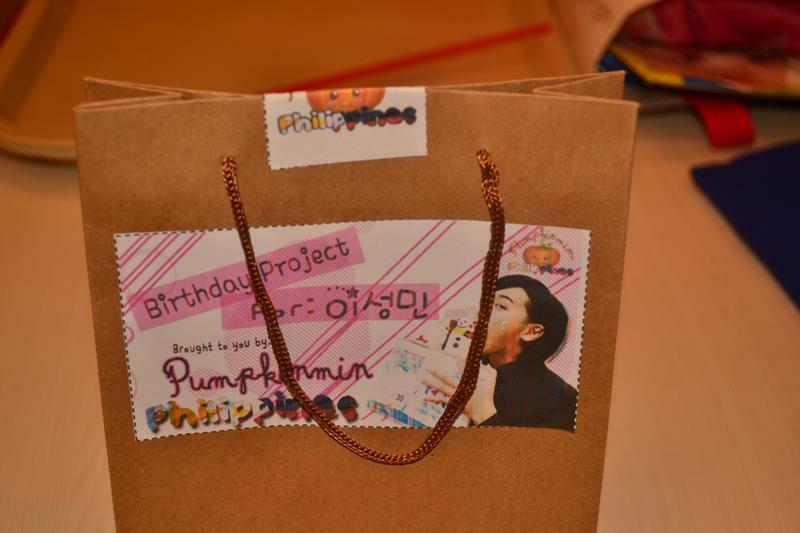 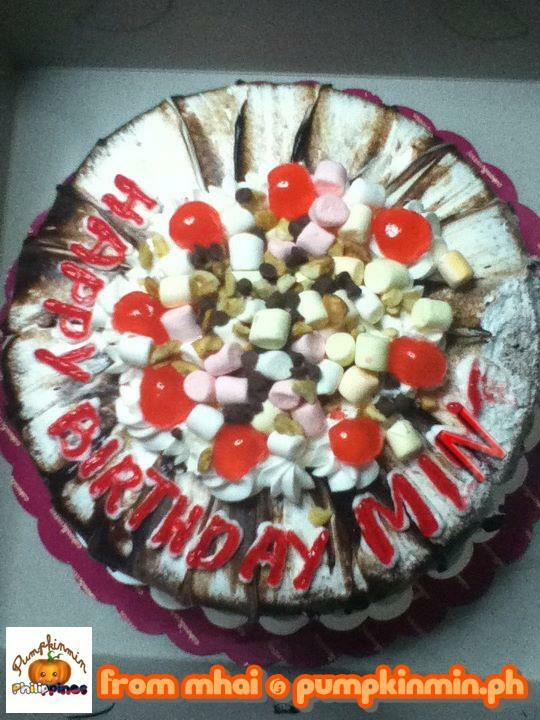 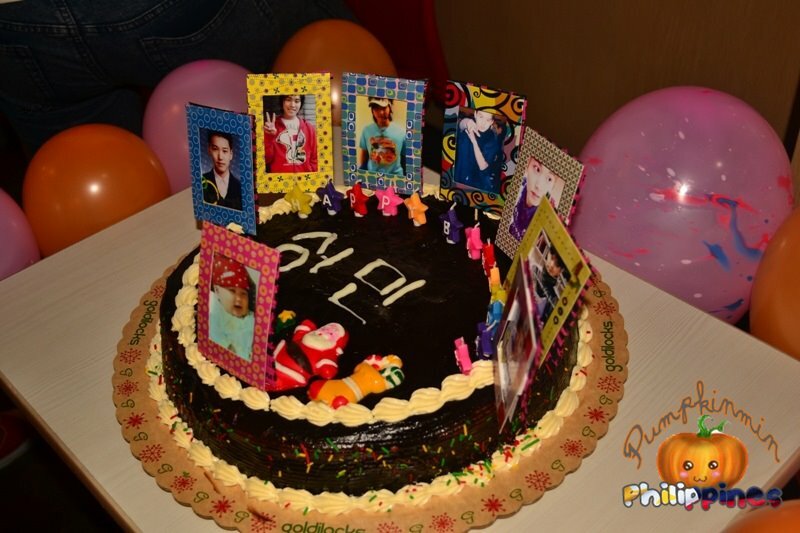 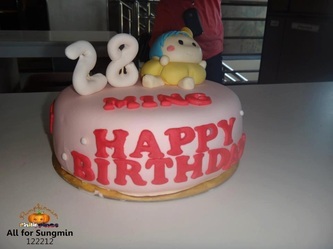 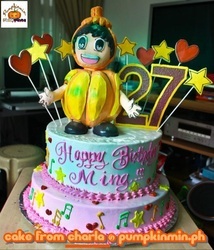 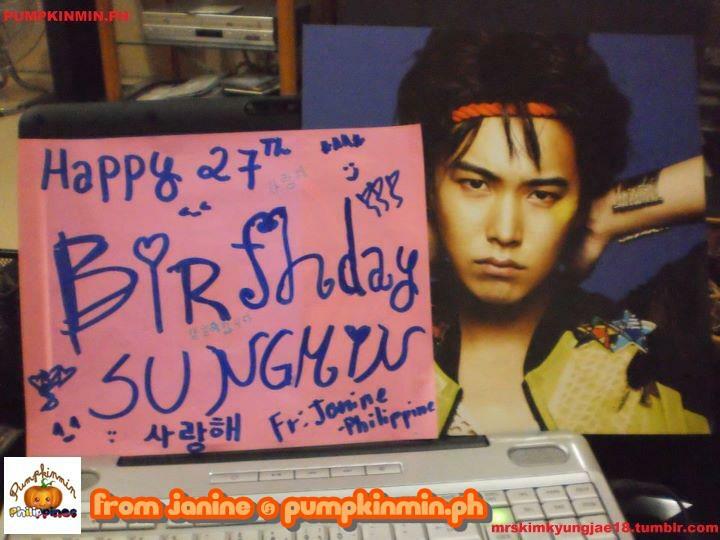 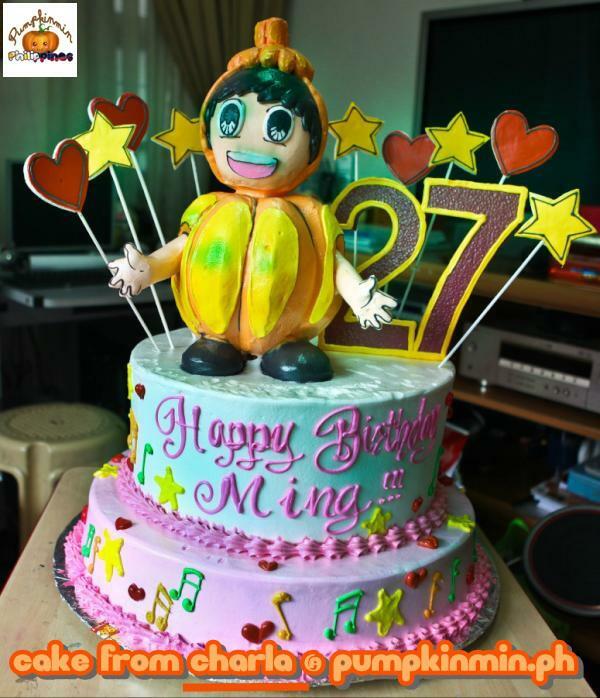 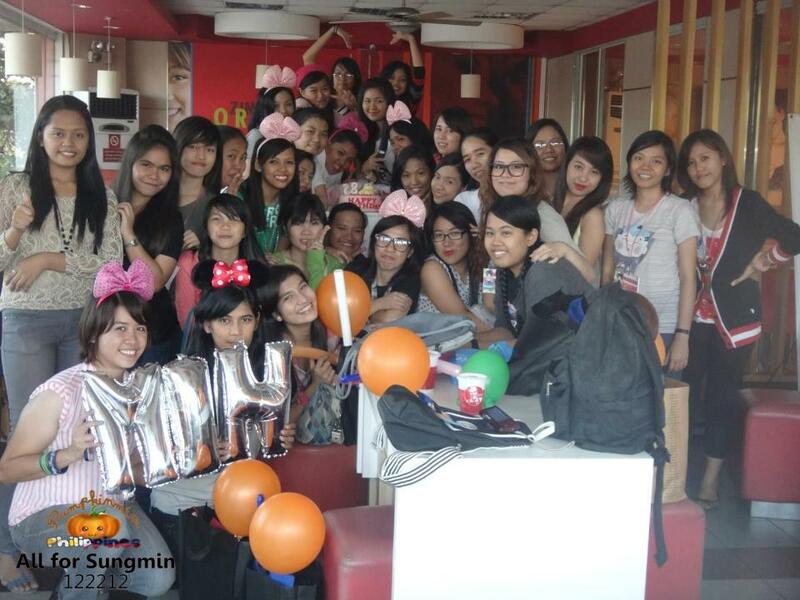 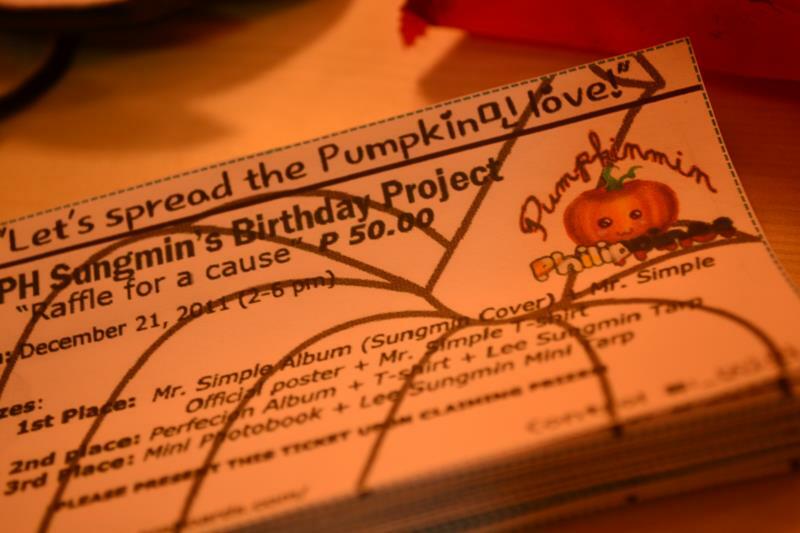 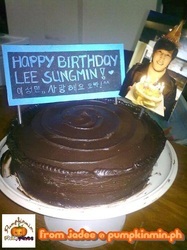 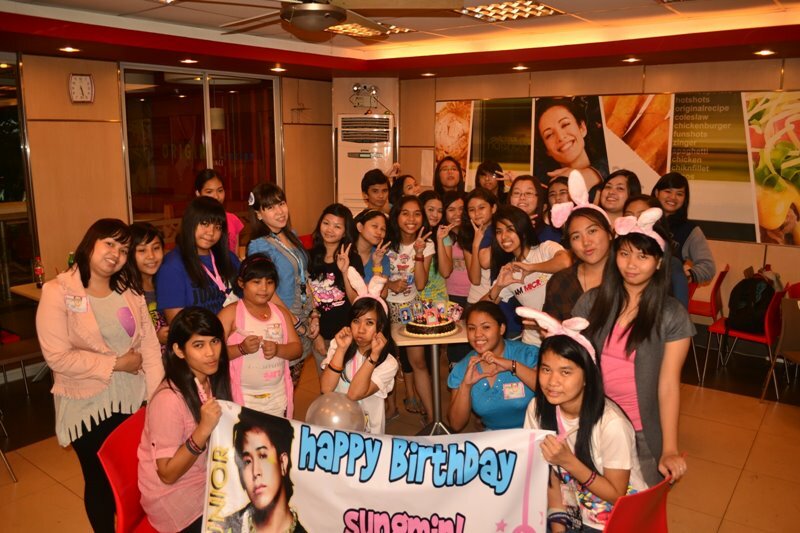 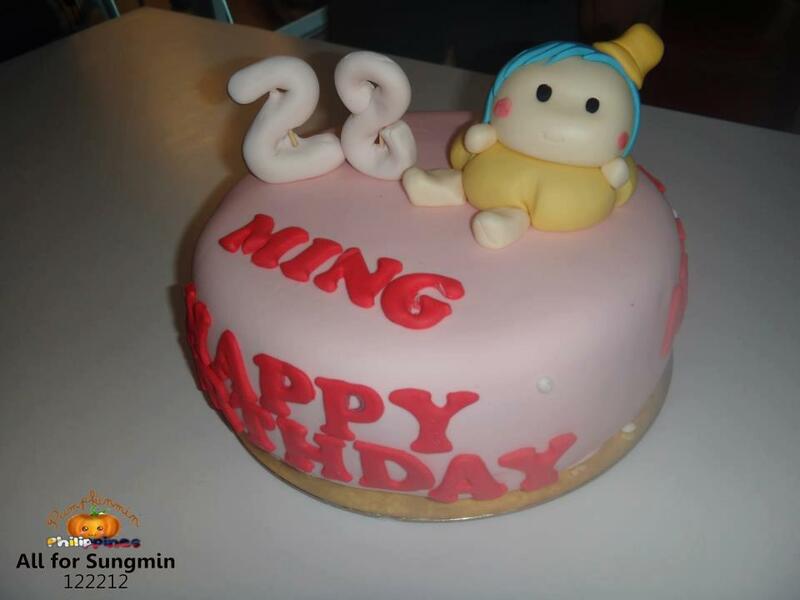 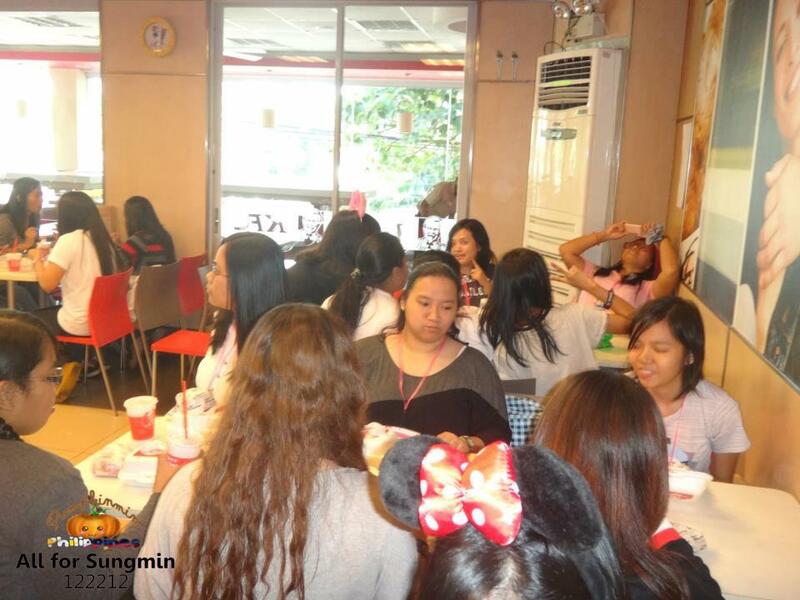 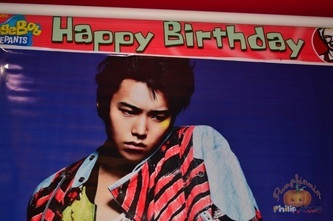 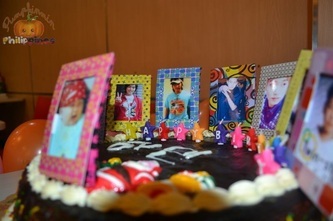 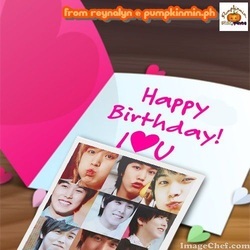 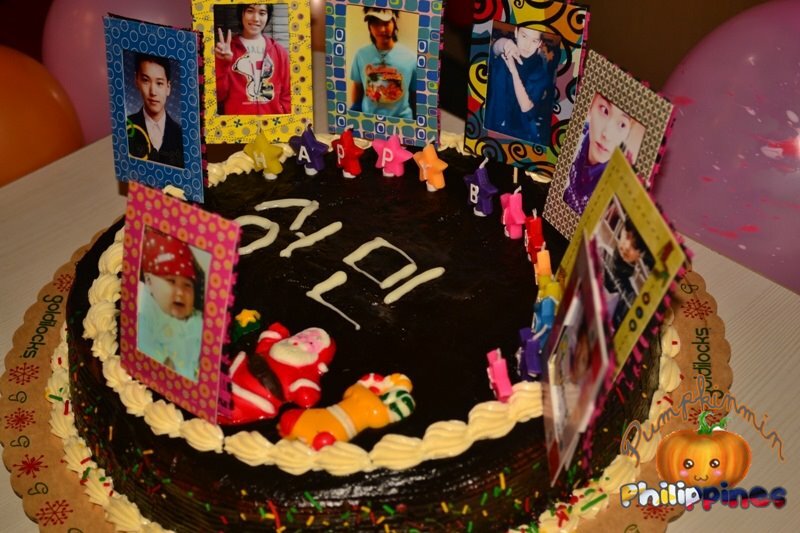 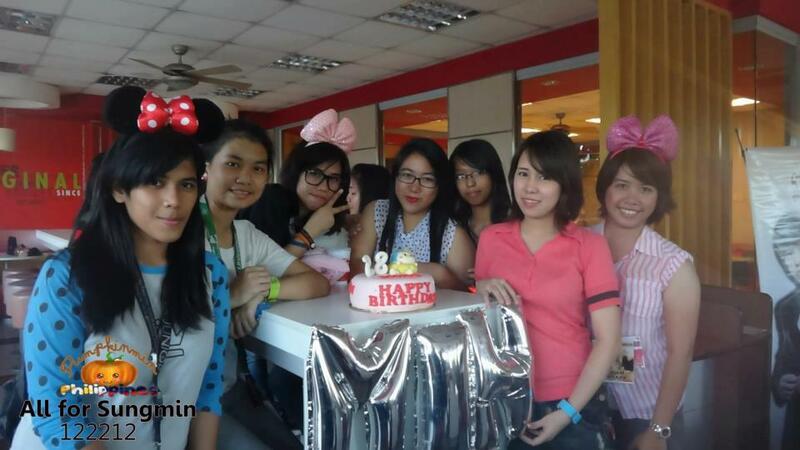 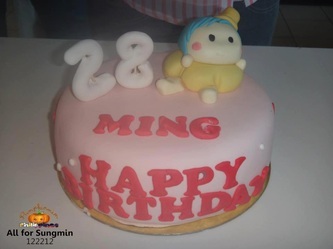 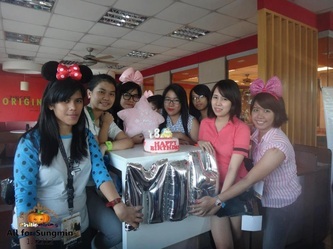 Objective: To be able to celebrate Sungmin's 28th Birthday and create comradery among with all PMPH Members. 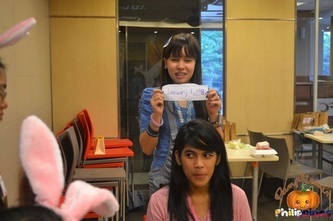 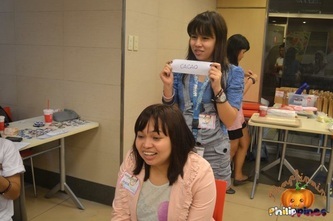 First Part of the project is the RAFFLE FOR A CAUSE. 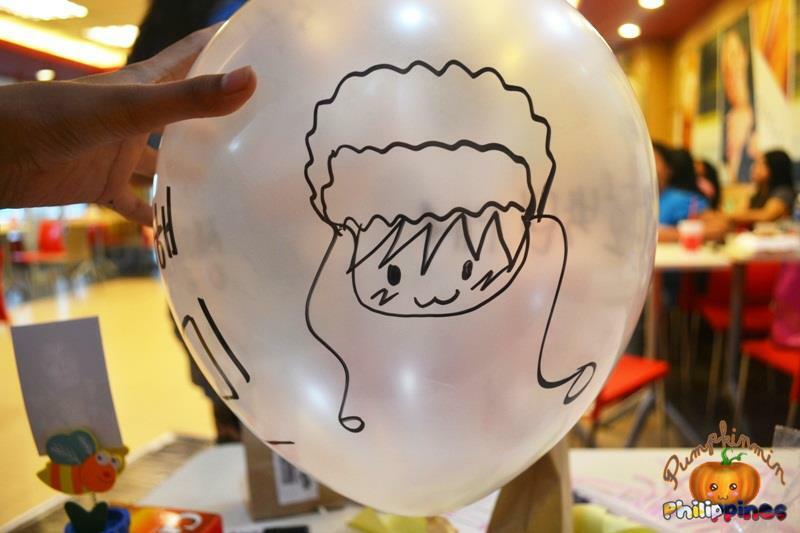 Very thankful to those who have been with me together since the first performance~! 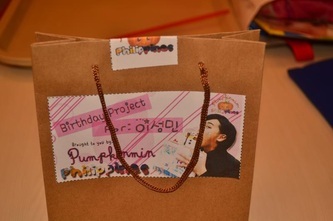 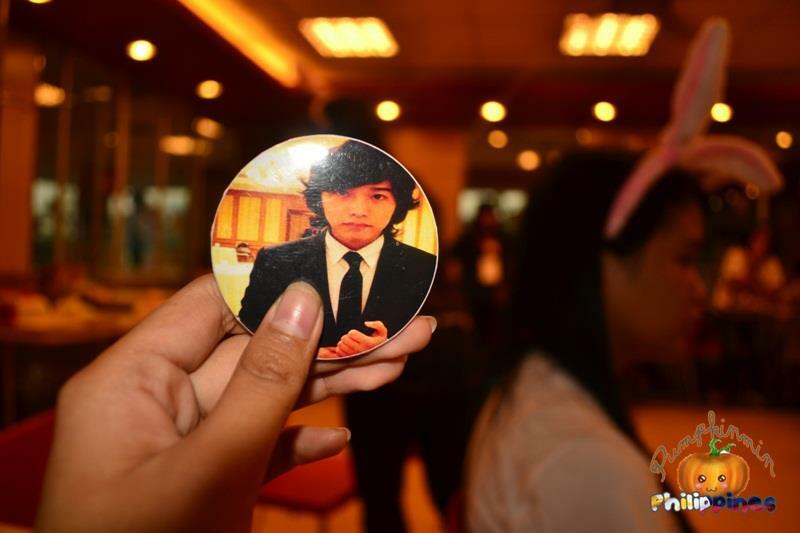 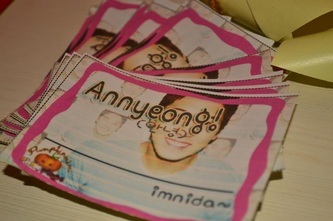 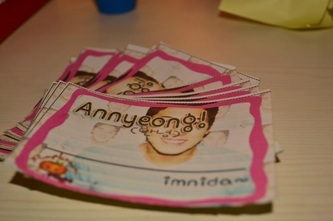 And giving support like this, thank you~! 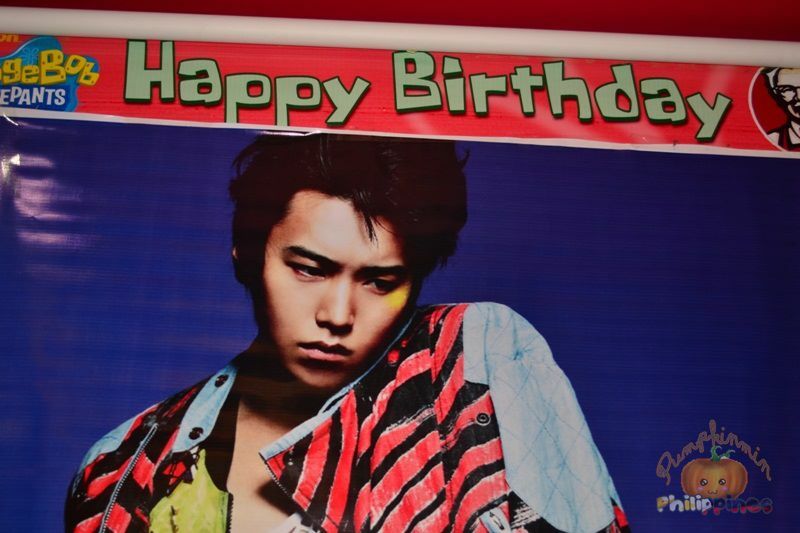 Actually I wanted to personally take the photos yesterday, but there wasn’t a chance so I took the photos from news reports and uploaded them. I will repay everyone in the future with even better performances, thank you~!! 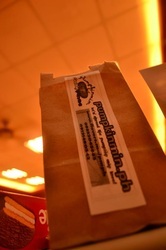 IT's OUR TIME TO GIVE BACK! 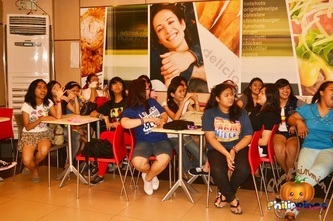 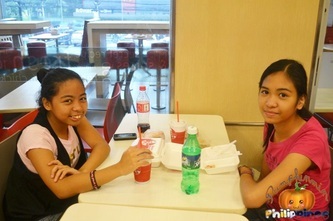 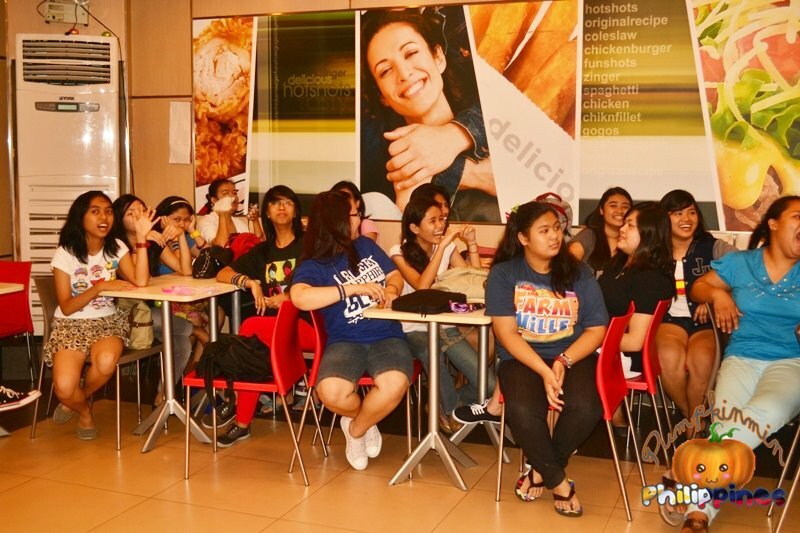 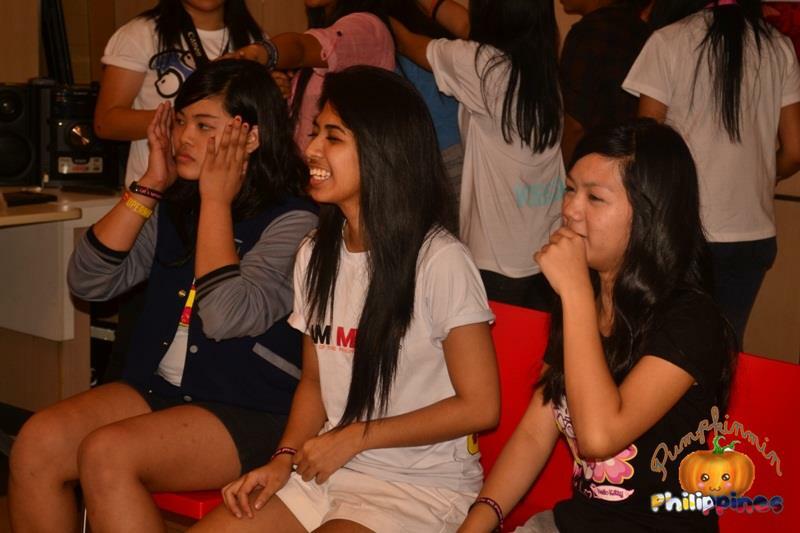 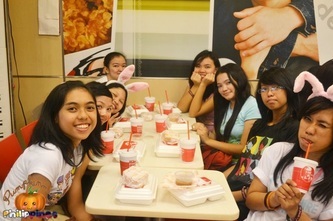 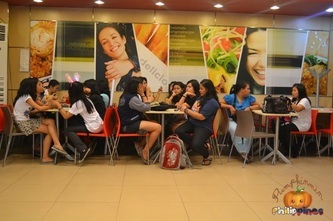 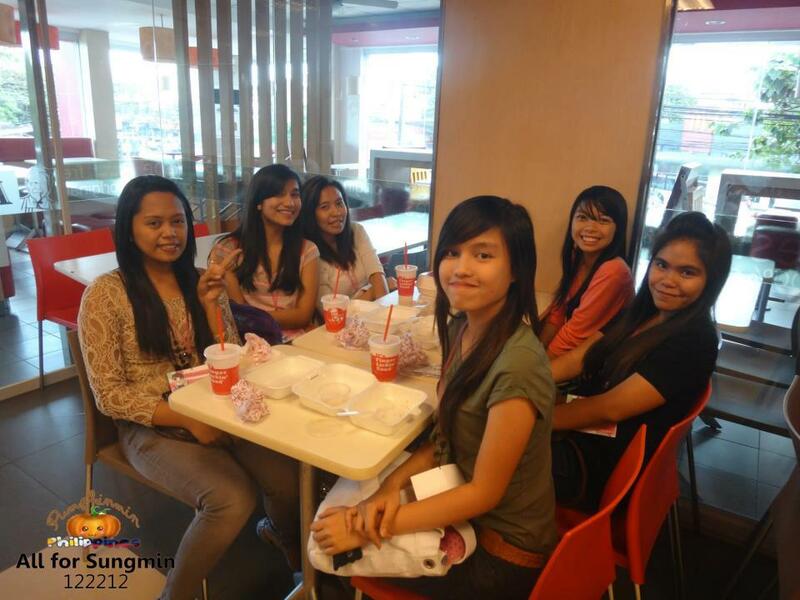 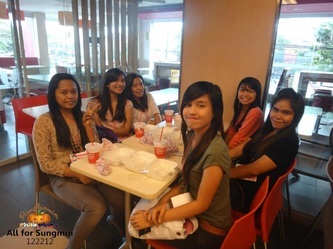 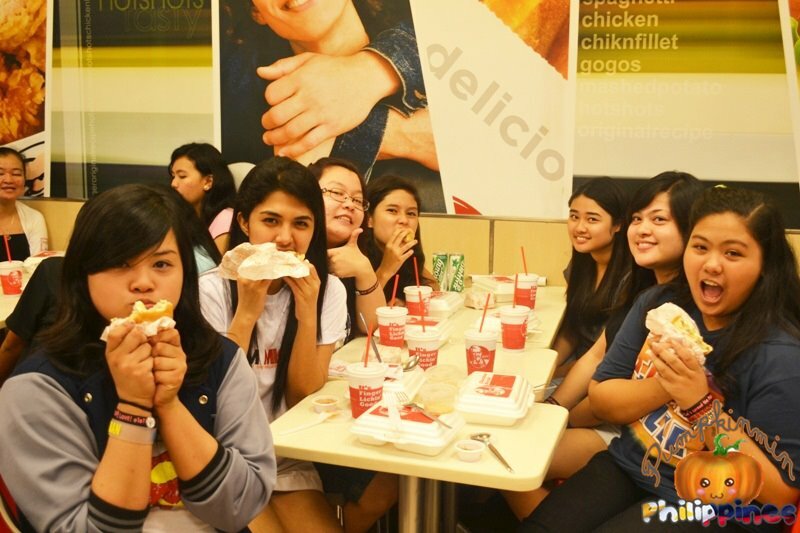 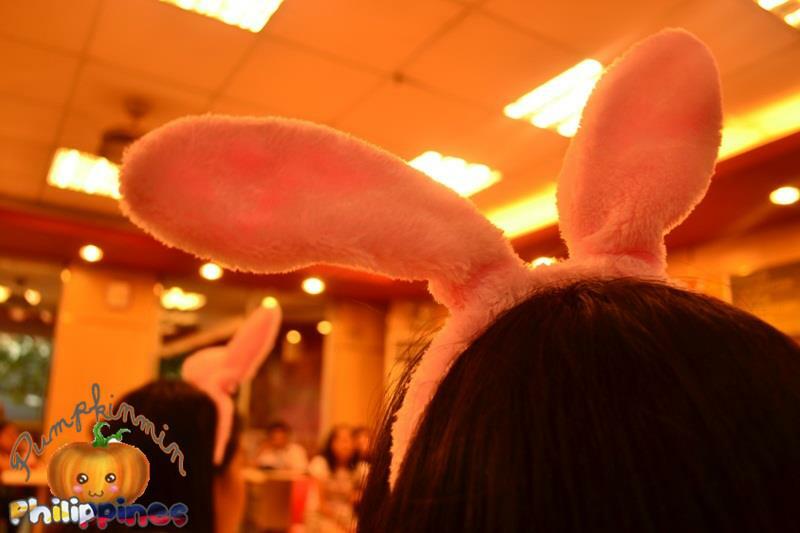 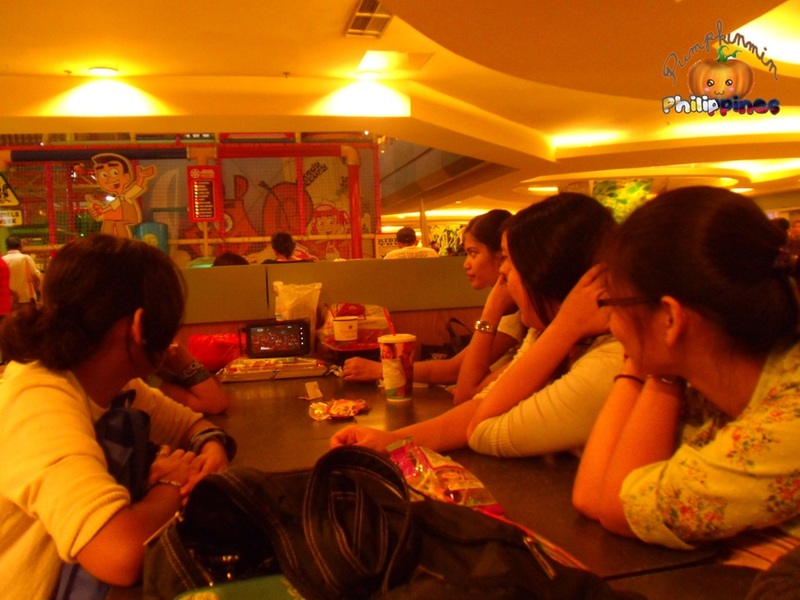 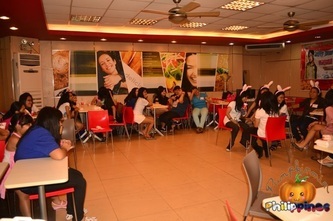 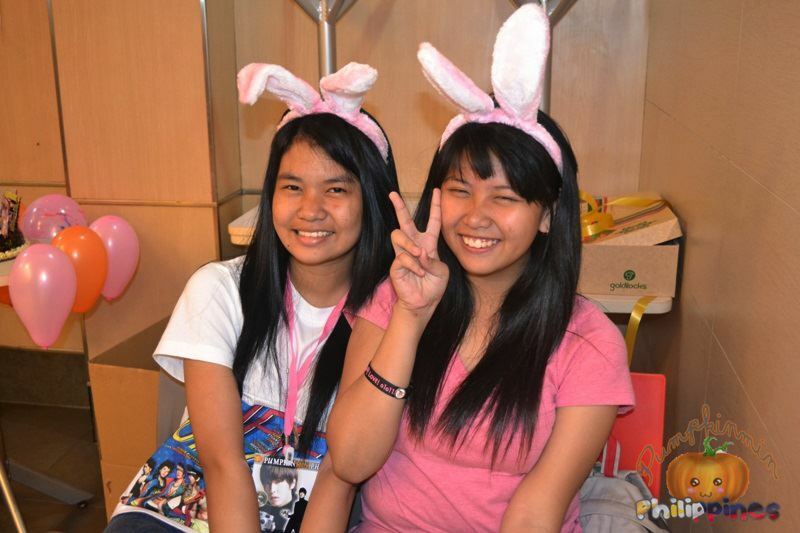 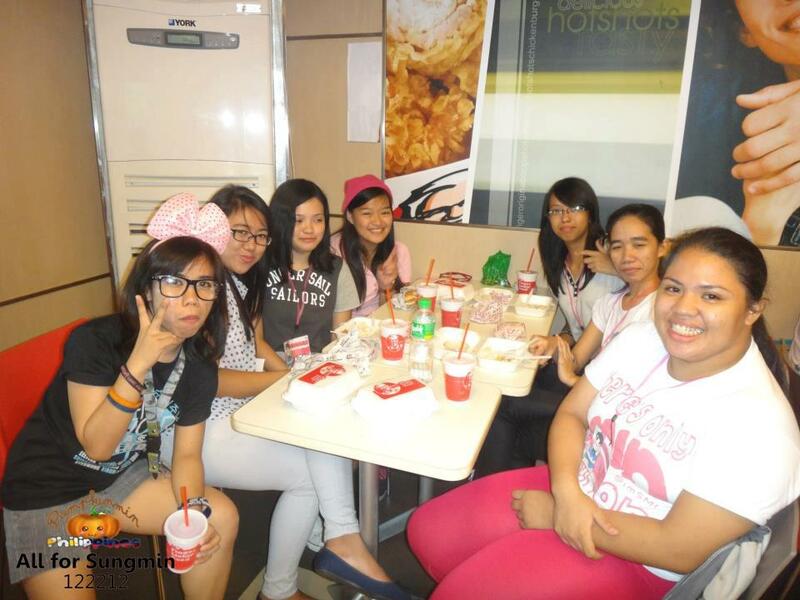 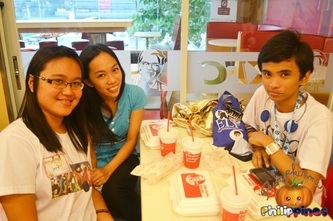 Naging masaya at puno ng blessings ang first half ng taong 2012 para sa ating mga ELF. 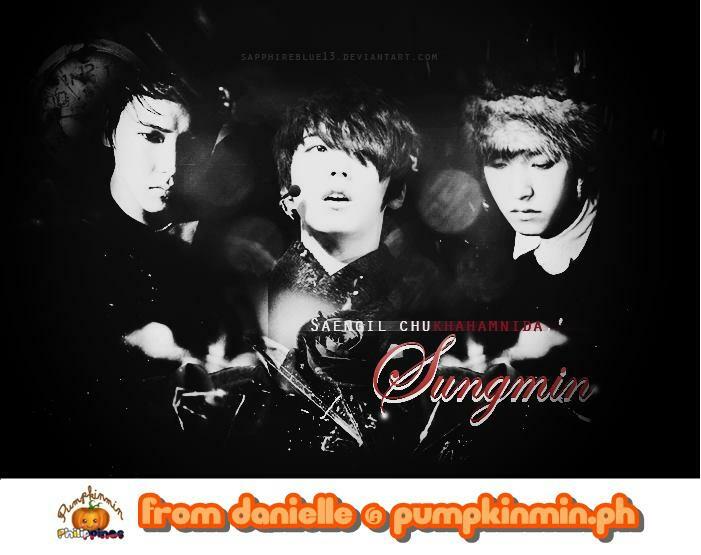 Biruin mo, Unang araw ng taon (January 01, 2012) isang makasaysayan at nakakagulantang na tweet ang bumungad sa atin at biglang may Siwon, Eunhyuk at Kyuhyun ang nag-apparate sa Manila. 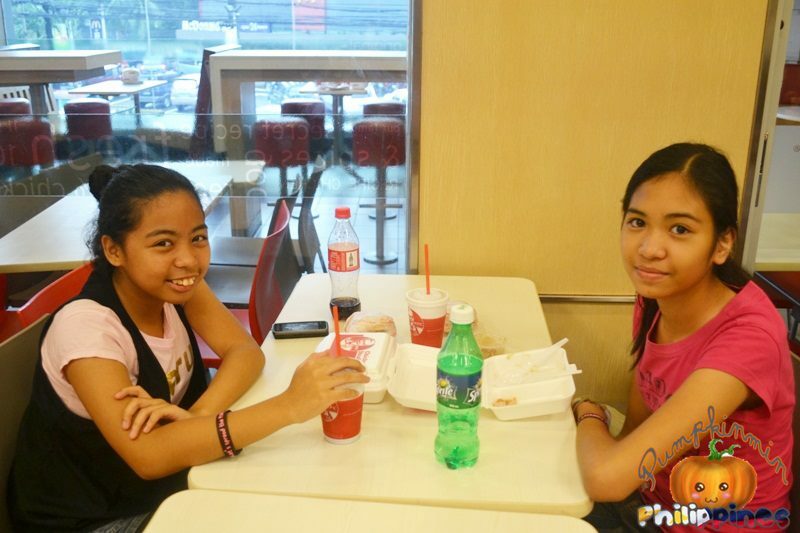 Noong February 25, 2012 naman,hindi lang isa, hindi dalawa, kung hindi TATLO!!! 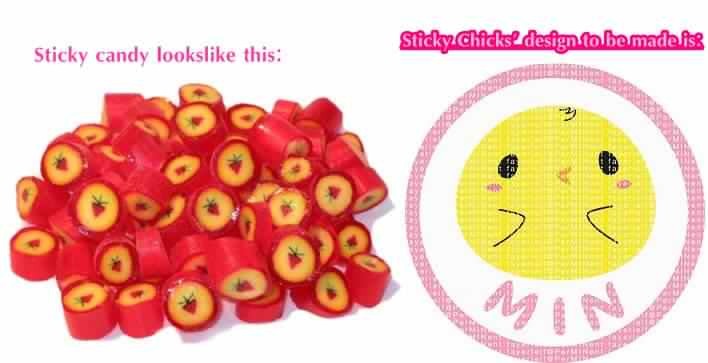 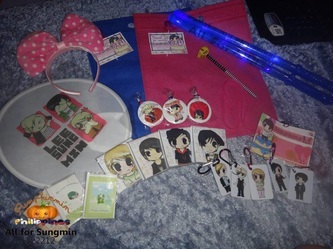 Super Junior 3rd album Sorry Sorry, 4th album Bonamana Repackage and 5th Album Mr. 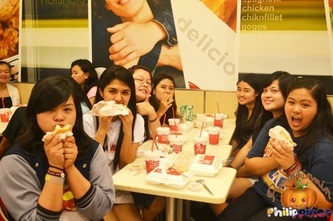 Simple reached GOLD according sa sales ng Universal Records. isang magandang ideya ang ni-raise sa amin mula sa ating mga ka-dwendeng may mga busilak na puso from Batangas, kaya isang proyekto ang ating sisimulan. 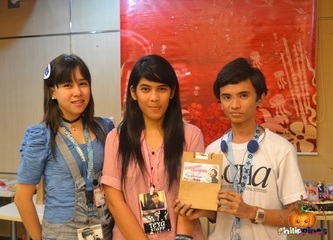 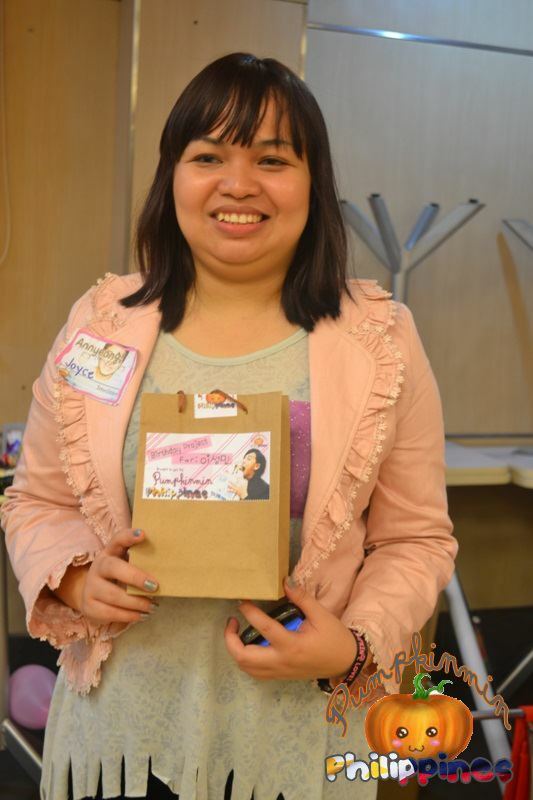 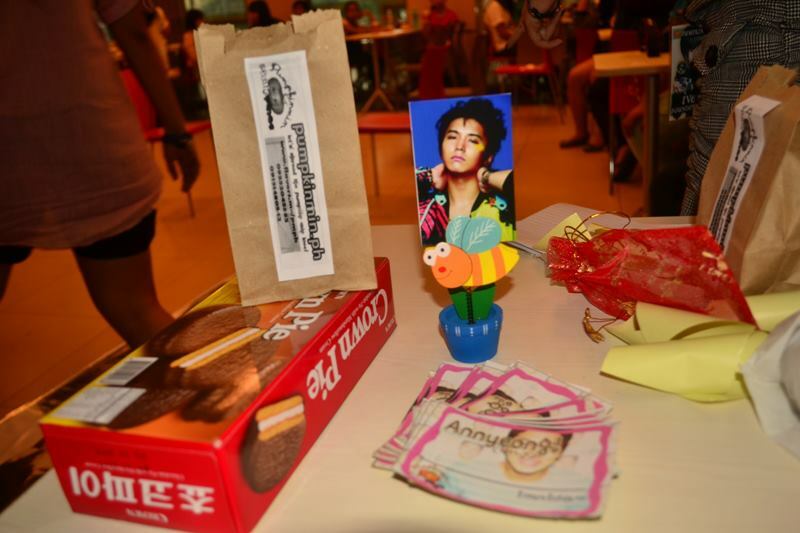 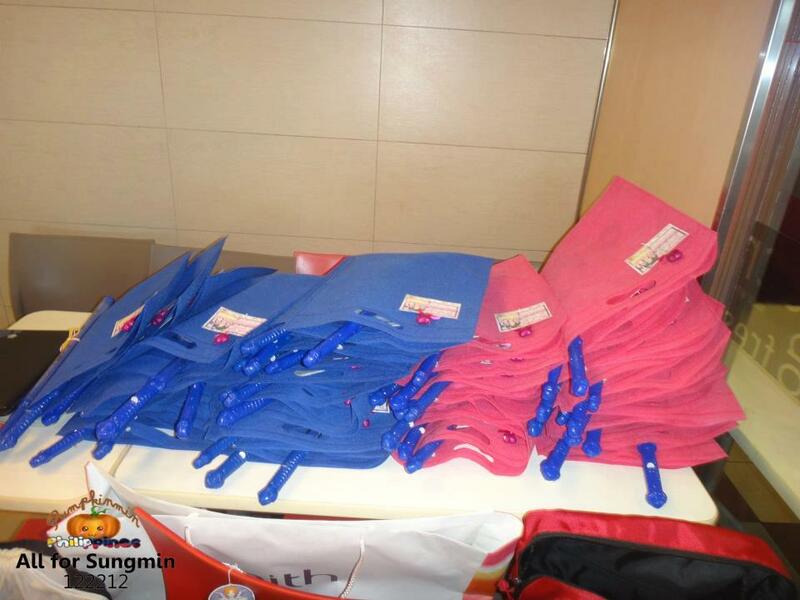 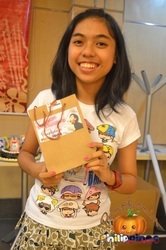 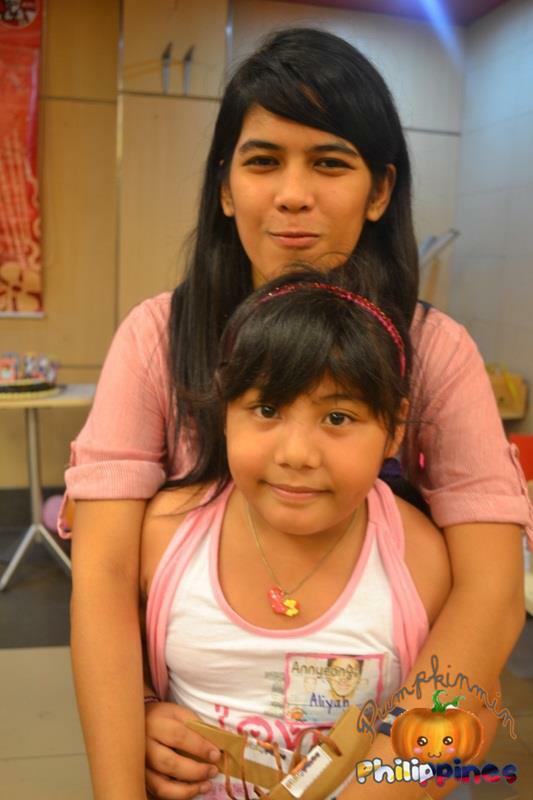 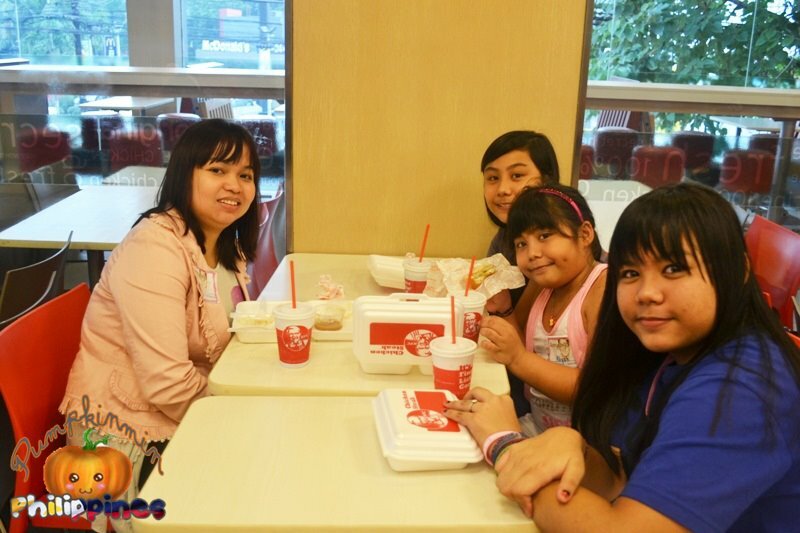 SJUPH supports GMA Eat Bulaga 's "Isang Lapis, Isang Papel" project. 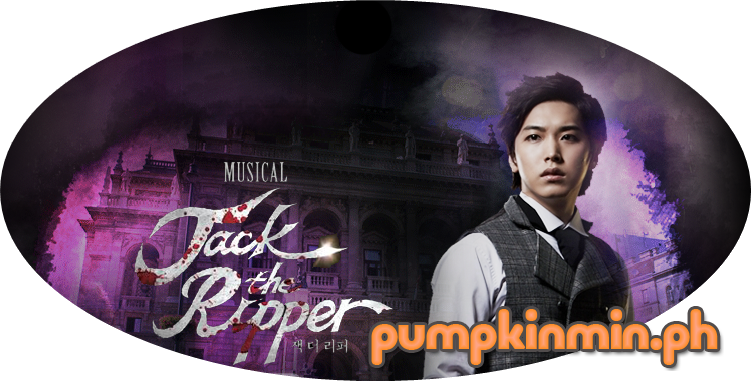 Catch MIN if KYU can. 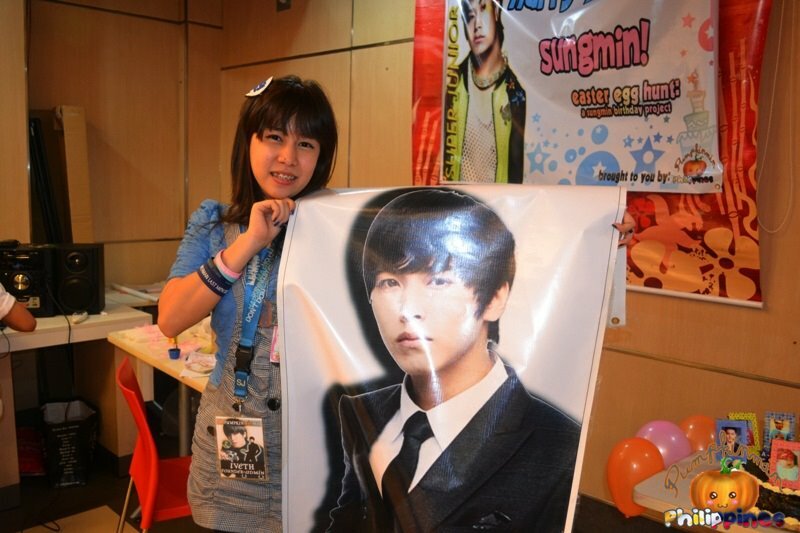 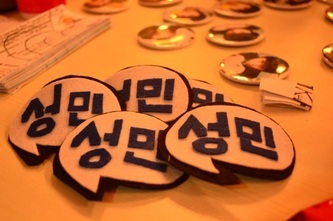 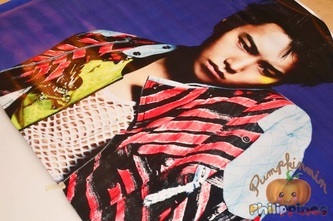 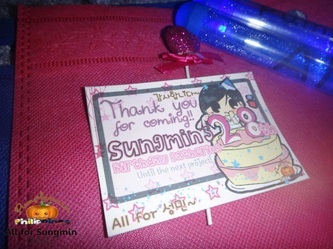 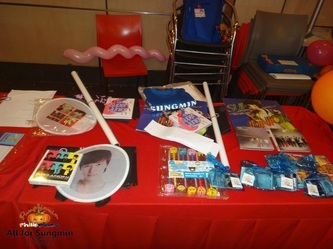 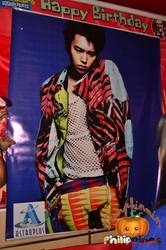 SS4 Indonesia Kyumin Project. 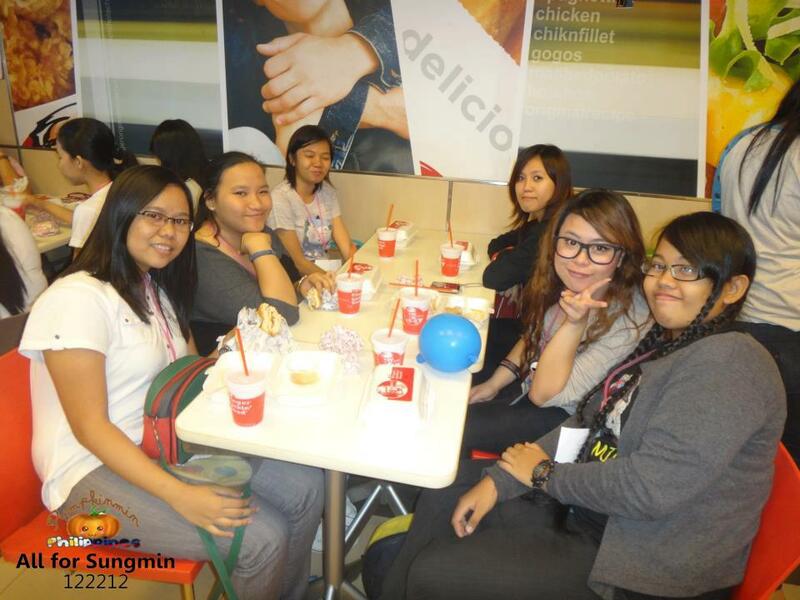 PMPH Joined Catch MIN if KYU can. 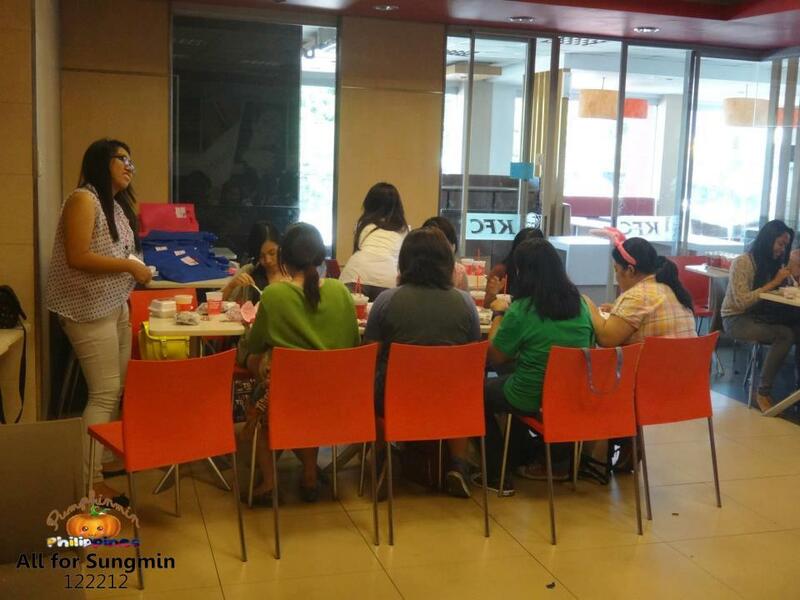 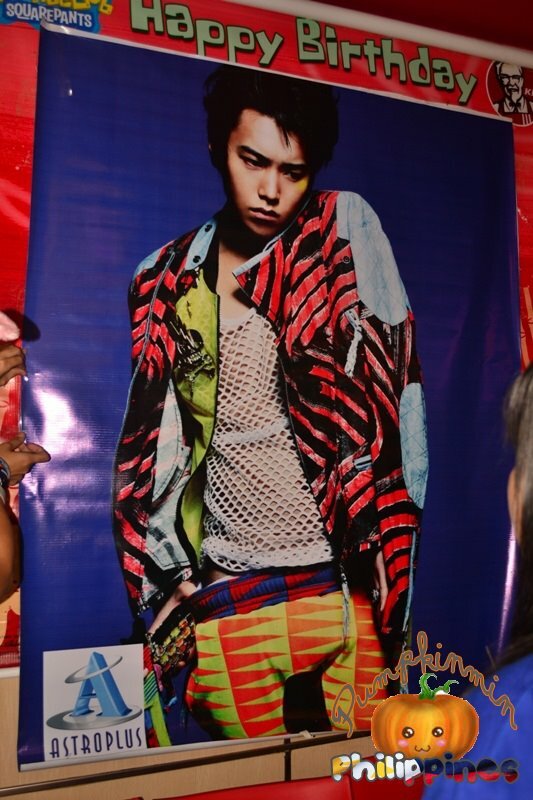 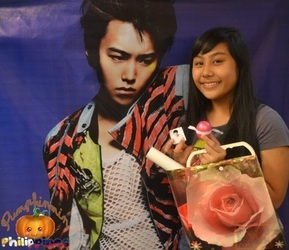 Super SHow 4 Indonesia KyuMin Project. 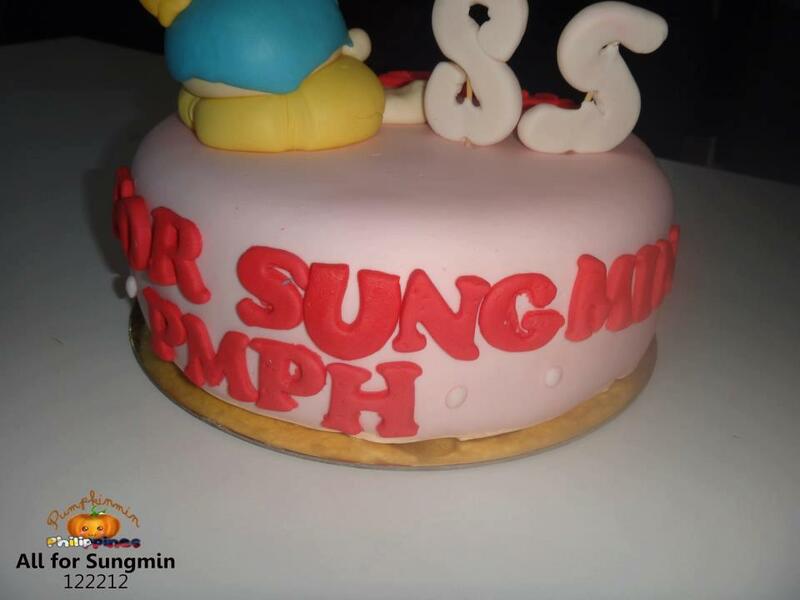 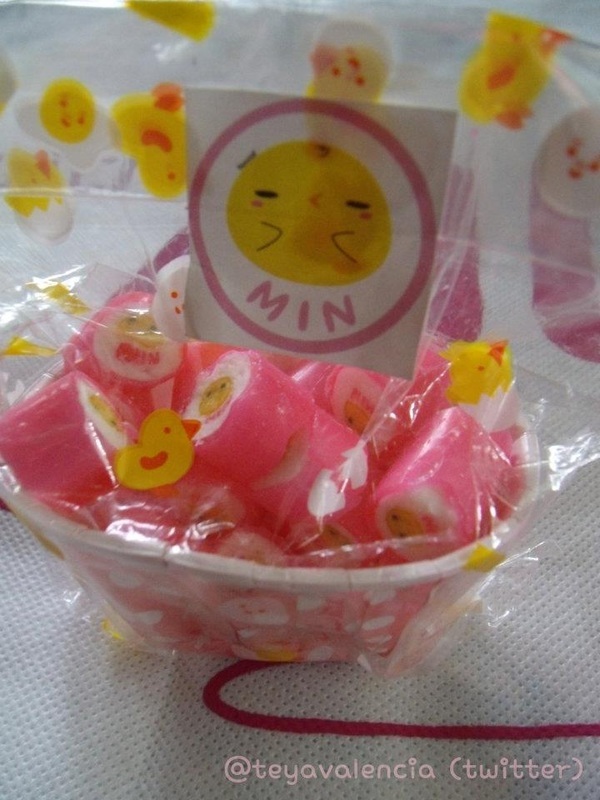 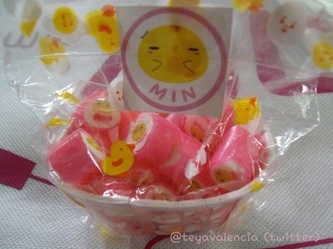 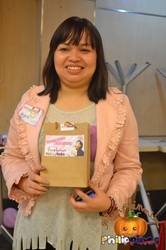 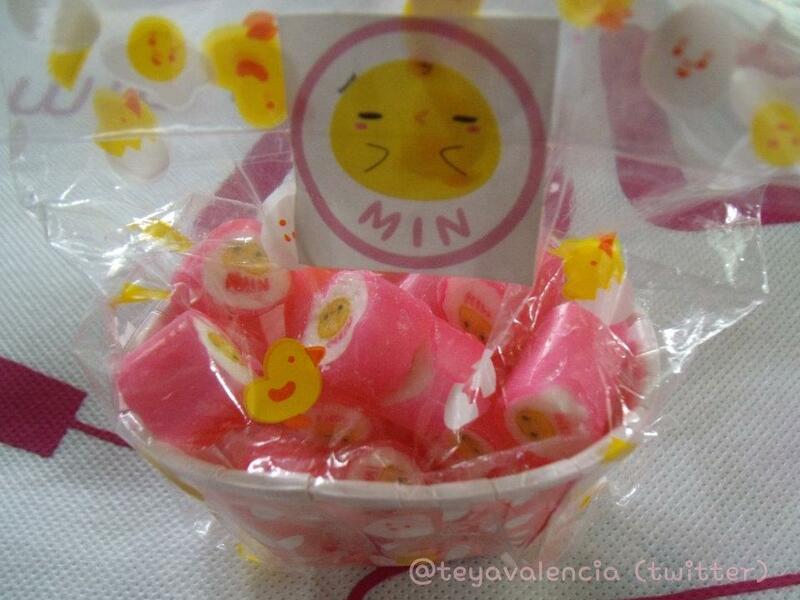 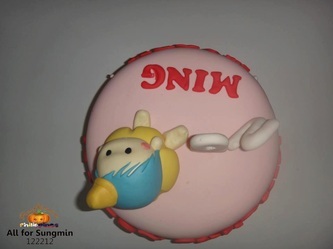 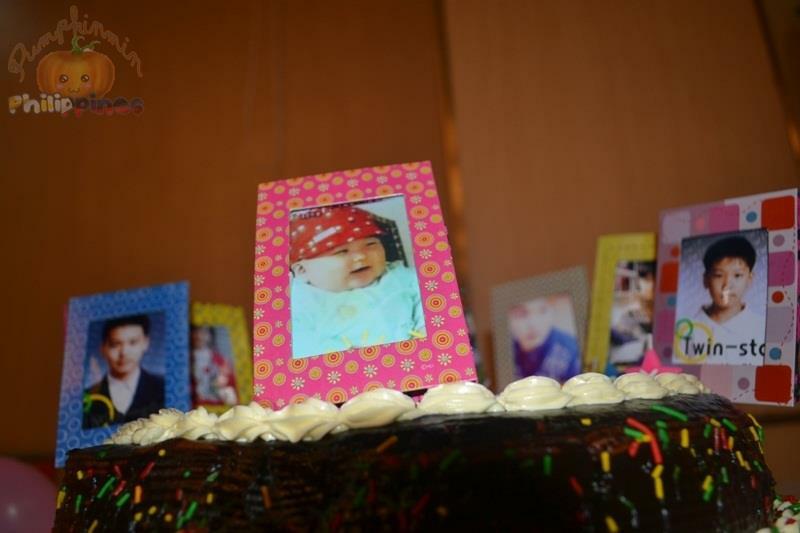 This month of April Valentine PMPH's gift was given to Sungmin's mom. Right at konabeans. 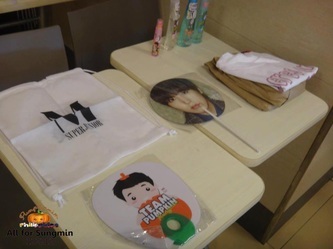 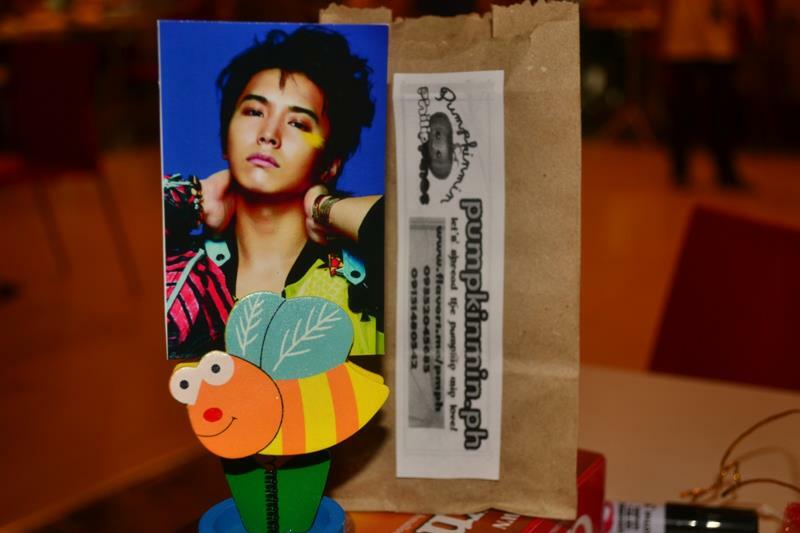 Thanks to Siam for helping us give the gifts to Sungmin's mom. Along with TeukAngelsPH and FallingforKyuPH, we sent a potted plant to Kona Beans that symbolizes good luck and prosperity for their business. 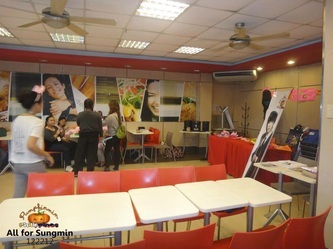 Now they know we all wish good luck for their newly built cafe and support for Sungmin's mother, Leeteuk's mother, and Kyuhyun's mother, and to the 3 members as well. 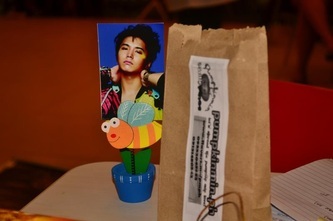 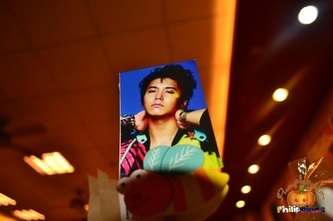 "Good luck to Kona Beans! 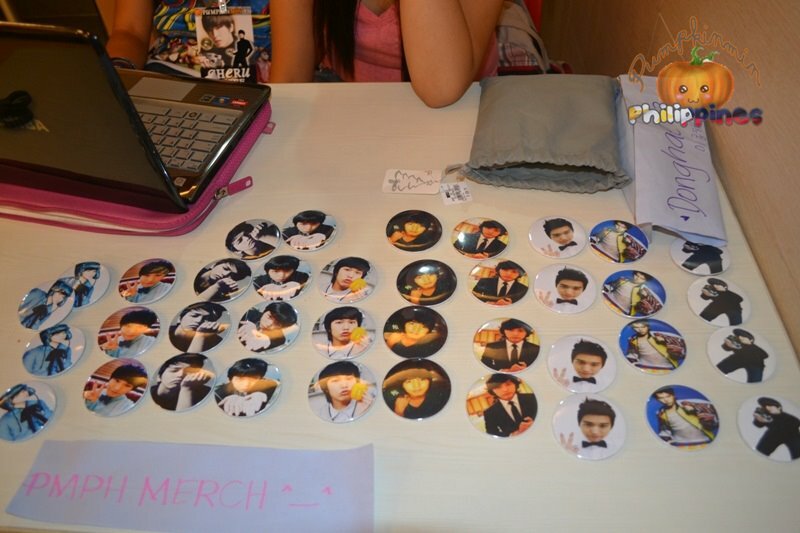 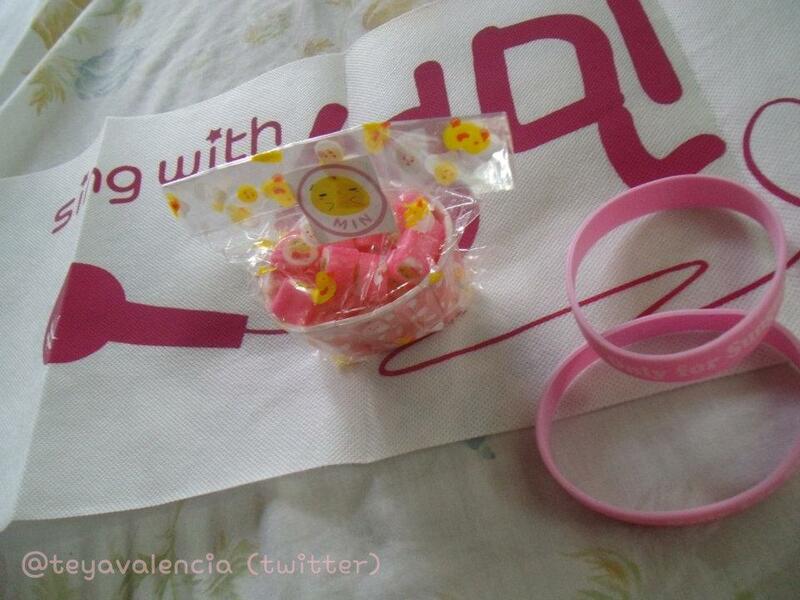 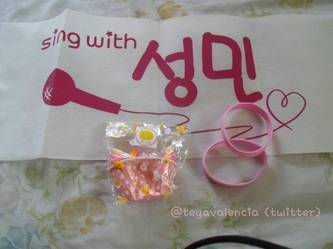 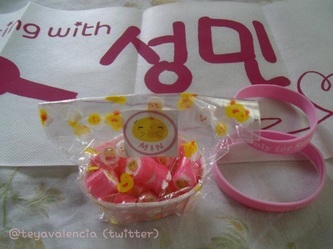 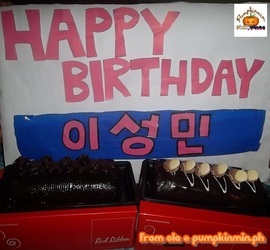 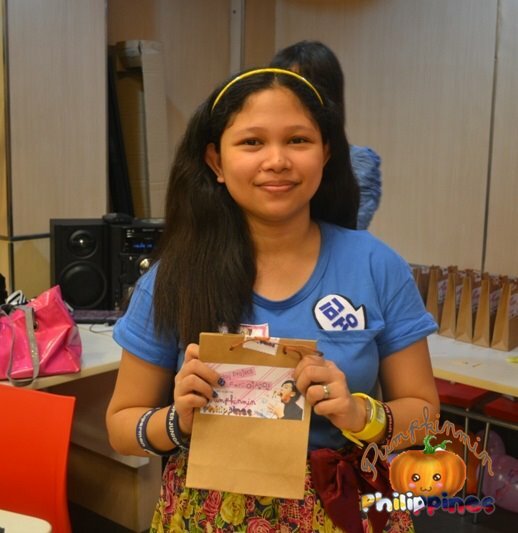 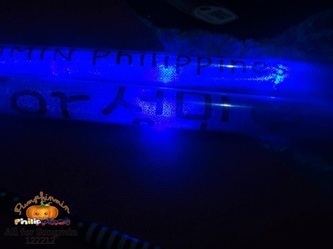 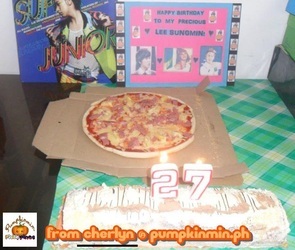 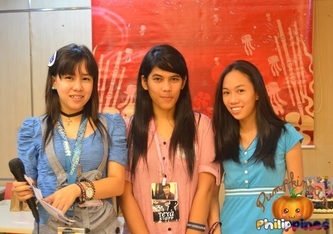 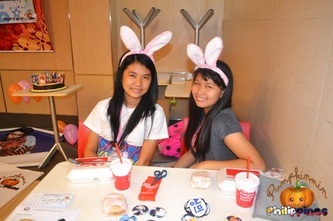 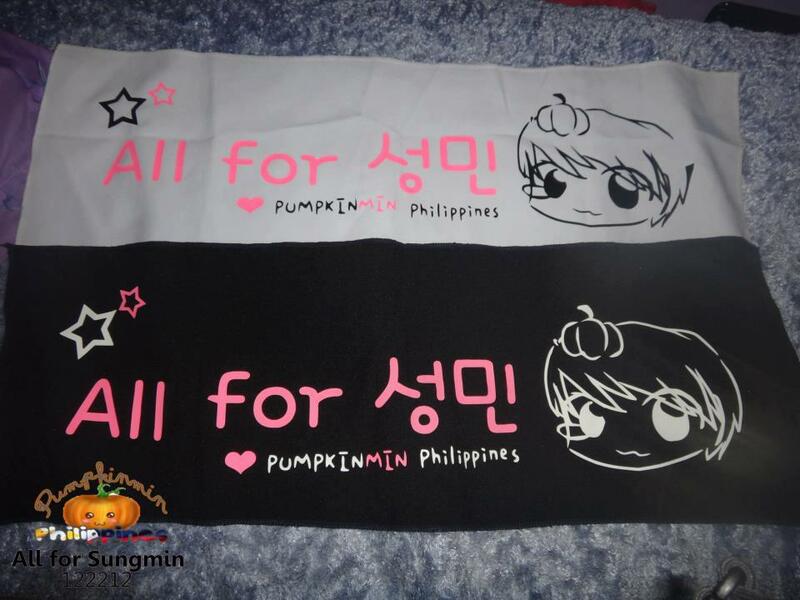 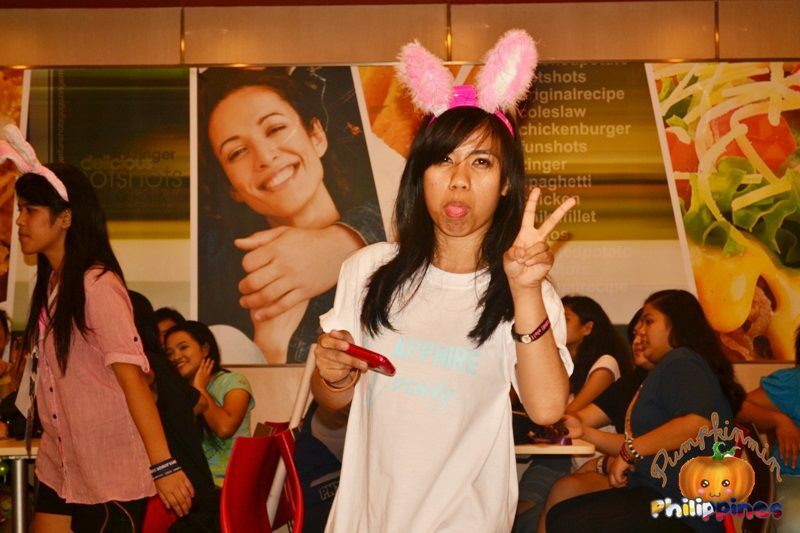 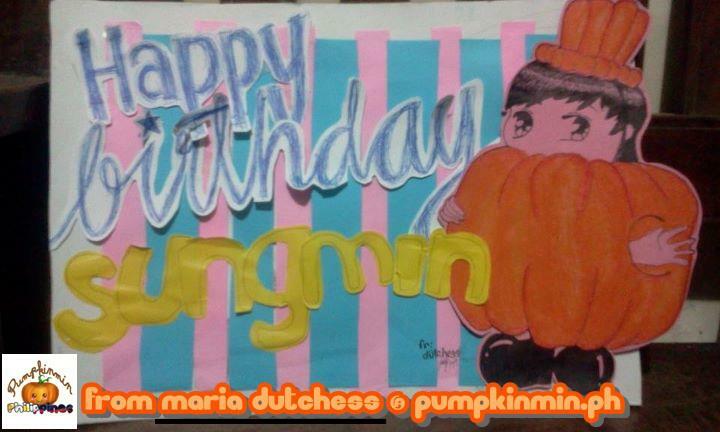 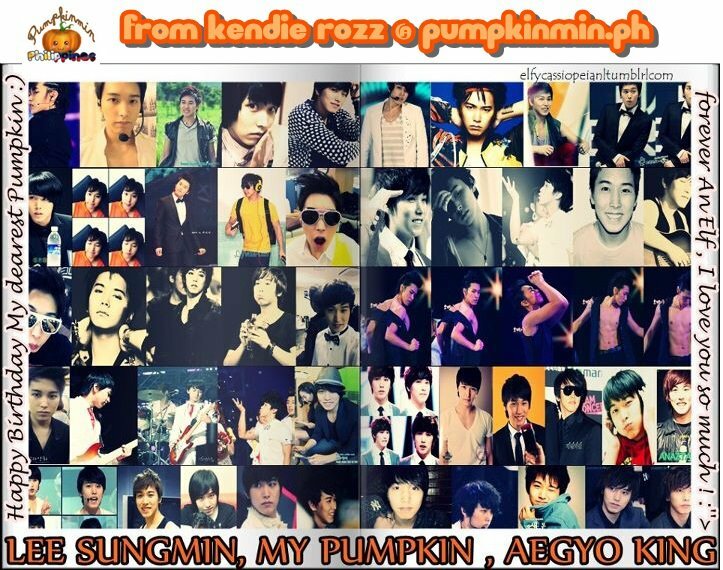 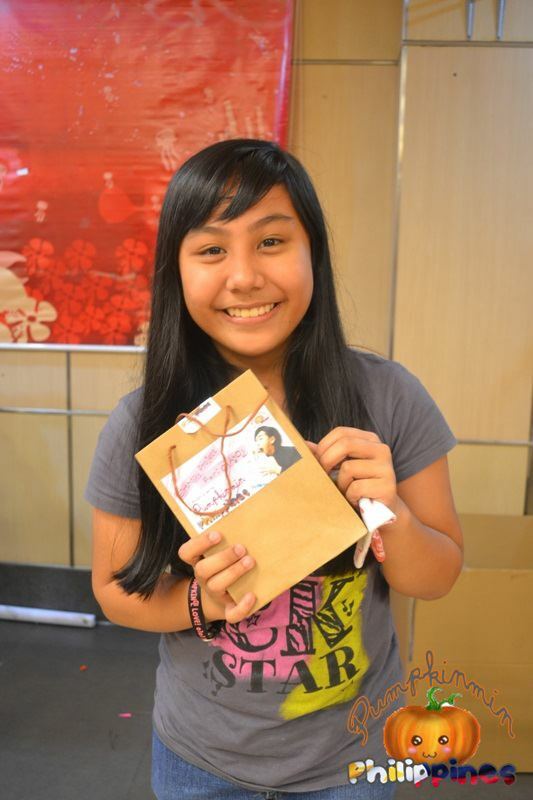 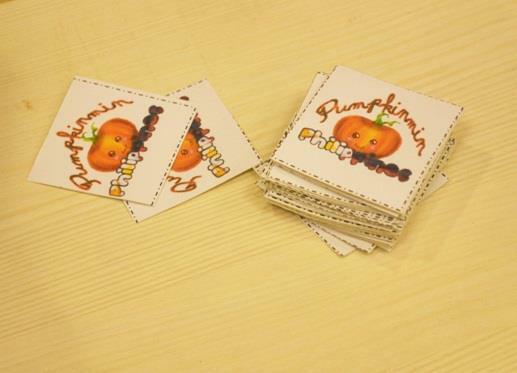 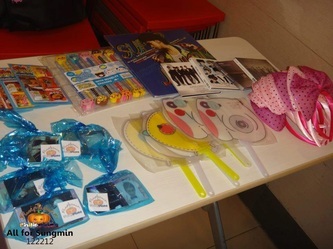 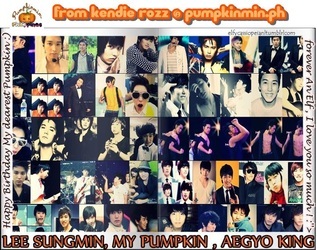 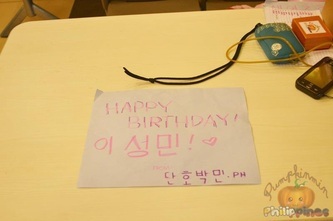 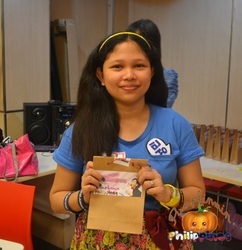 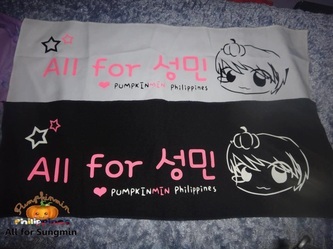 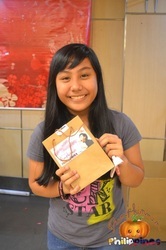 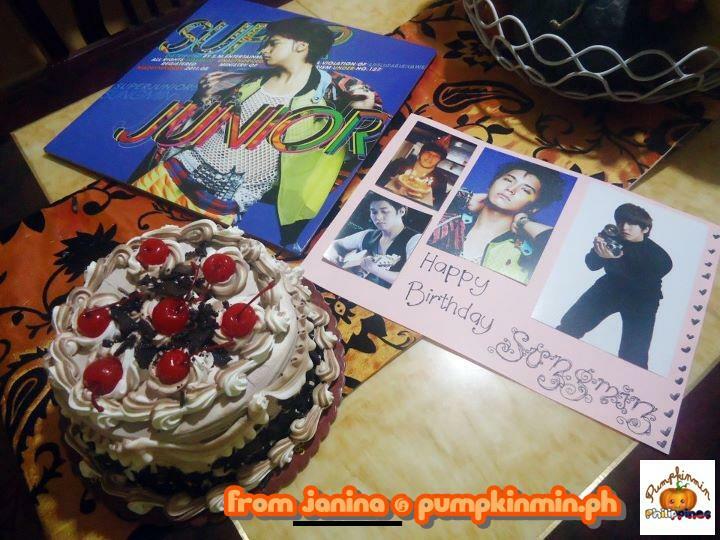 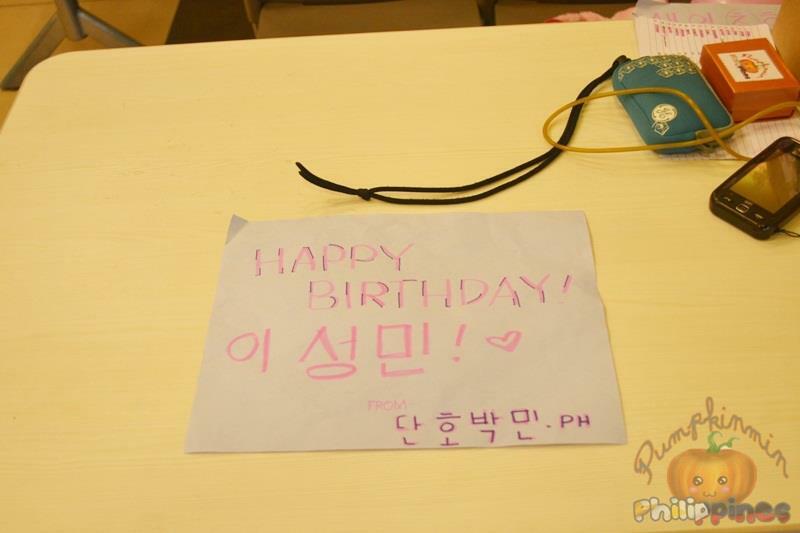 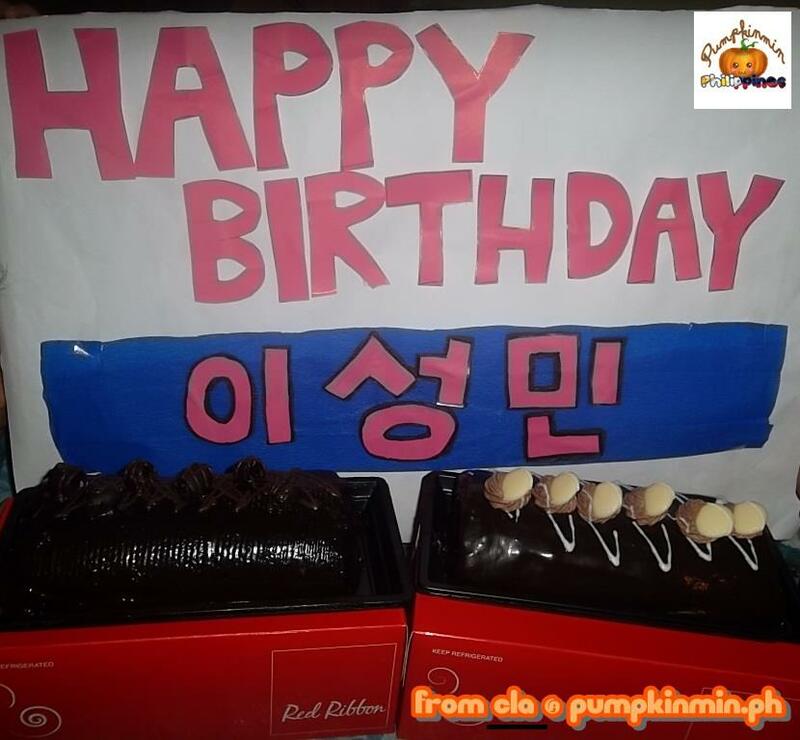 From Teuk Angels PH, PumpkinMinPH, FallingforKyuPH (Philippine Fansites)"
Thank you TeukAngelsPH and FallingforKyuPh! The first and biggest project of PMPH!